A fully customizable well defined 99Acres Clone Script System, with Wallet and QR Code features. A feature-packed 99Acres Clone Script software for your Real-estate System. Manage your business with Listing, Category, Locations, etc with payments, promotions and more. The admin can manage the overall functionalities like Category management, Menu management, User management, etc from a single dashboard. This is a quick and easy way to find details of all properties in a particular location. Users can draw the area they are interested in on the map and all properties available in that particular area will be displayed to them. The admin gets a view of all the activities done by the agents/agencies in the portal. The admin has all the necessary privileges to communicate and take any authoritative actions if found inappropriate, like removing a property added by any agent/agency or even disabling agent/agency profiles. Use analytics explicitly created for real estate portals to know the most engaged/ popular properties. Use this information to predict user behavior and market trends. Get a comprehensive view of the entire portal using real-time enquiry, property, user and revenue reports. A convenient way to make the admin can monitor all the activities of the site and also respond to all notifications. You can easily add new plans for charging users with price, duration, multimedia and other settings managed individually for every plan. The portal empowers you to reward agents/agencies for their good conduct by gifting loyalty points which they can redeem at the point of renewing their subscription package. The admin will have authority over deciding the value of points. You can mark a few properties as “Featured” so that it will appear in the most visible areas of the home page and inner pages. You could monetize on this facility by charging agencies an additional price for featuring their property. Schedule and automate advertisements in the site using the “Ad of the Day” functionality. You can monetise on this feature by letting agents/agencies to display their advertisements. Multiple subscription plans can be created for agents/agencies. This will help you adopt and exciting pricing strategies like ‘Premium’ to induce agents/agencies into subscribing to your portal. Optimize your 99Acres Clone to be indexed by the search engines with the built-in tools. Drive traffic to your site by launching online marketing campaigns and by sharing listings in the social networks. Agents/agencies are allowed to know the price users are willing to pay for the properties they have listed to sell or rent. Users can let agents/agencies know the price they are willing to pay with click of a button inside property detail page. Manage Promo Codes by Admin. It can be easily applied at checkout to Claim Discounts and keep users engaged. Easy access to Customer Support details for Admin/User/Agent queries, Terms, FAQ and more. Your customers get a branded 99Acres Clone like Website with Hybrid Apps for both iOS & Android. Users get fully branded IOS & Android Apps for your 99Acres Clone Script Website. Users can Increase their search accuracy through this feature. The search filters change automatically as per the type of property chosen by the user. User can define attributes to each property type and position them based on priority. These attributes can be marked as elements that need to be considered while comparing properties and will be also be set as a search filter. Membership plans are a great way to Convert your site. Add your custom plans and start charging users for posting ads, access to contact details, photos and premium accounts. Both you and your dealers will be able to import or export listings in XLS and CSV formats to your site, including pictures, both from back and front ends. You can easily enable a Rental option on your site by installing the booking module that allows your users to book listings online and collect down payments featuring 3 most wanted booking modes. The module generates a QR code for every ad, which allows your users to easily and instantly scan and save ad details to their mobile devices. Searching for ads within a specific radius by a zip code or location allows users to immediately get search results within their location. 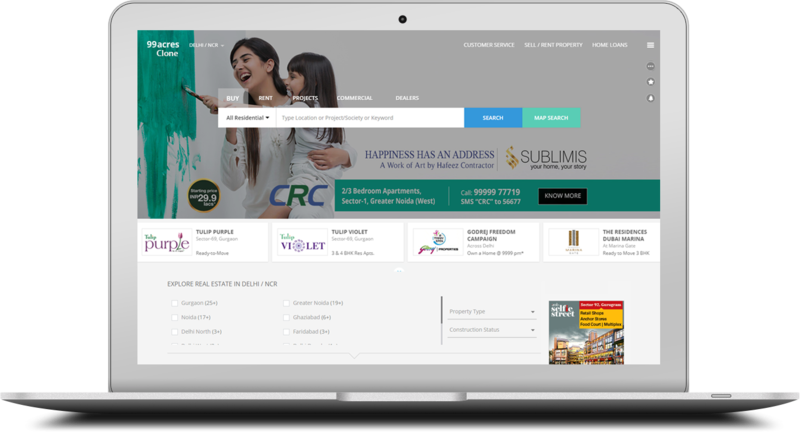 Users can showcase their properties apartments, villas and lands either to sell or rent or lease it. Buyers can easily search and find the matching listings for their requirements. You can add multiple custom fields which helps your users to describe more about their listings easily. It is displayed on the details page of your users listings. Apart from adding description to listings, sellers can easily upload photos and videos by dragging and dropping to give more visual information to potential buyers. Keyword search provides a simple and fast way for users to search for listings. The search offers a few options for narrowing down search results, and can be easily integrated into Advanced Search. A powerful tool from Google enabled for every listing and showing ads and values of location-related fields on the Maps. View Daily, Weekly, Monthly, and yearly Reports. 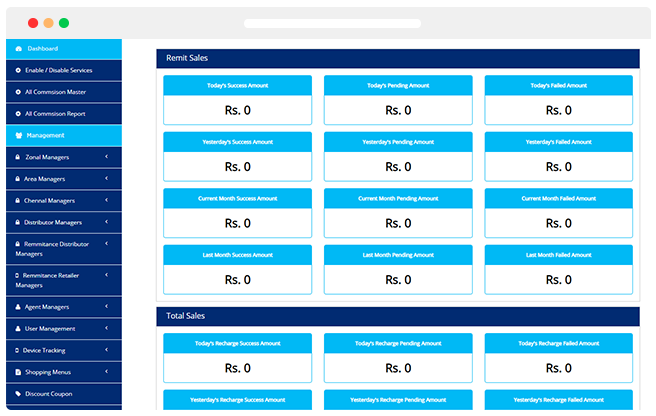 Keep track of all the payments made through your site from the Account Area. The administrator can add advertisements to these areas. All ads will then be showcased to the public/users browsing through your website. Promo Codes can be easily applied at checkout. To increase sales, you can generate coupon codes for individuals or user groups allowing them to purchase listing packages and plans at discounted prices. Easy access to Customer Support details for User queries, Terms, FAQ and more. We are open to adding additional features, integrations, and customizations to help your business achieve maximum ROI. The entire user side of the script can be customzied to the language of your choice. Manage your Bookings and Reservations on the go with an Optional 99Acres Clone Script Agent Mobile Application. Integrate the New Version Google Map API Version so users will be able to evaluate distance on the Map. 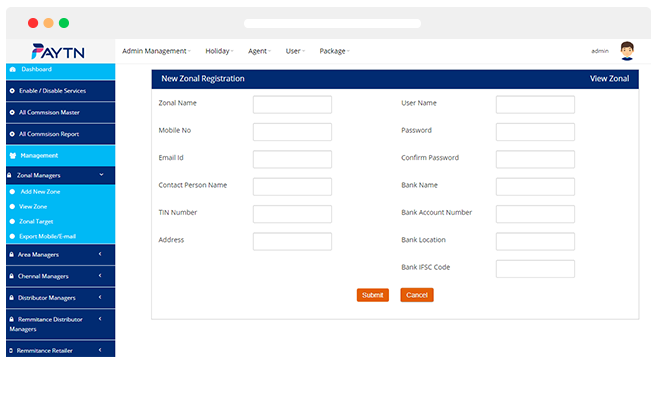 Flexible Design & Development method permit to create member list & categorize into different Packages. Set up your customized Gallery by creating & uploading files. You can view, edit or delete is as per your business demand. With live chat integration reply to queries, make easy live conversation & ensure support. What Support You Get ? Our solution will be tailored to the unique needs of our Clients and packed with powerful features and integrations. Our 99Acres Clone Script is flexible enough to meet the specific needs of the Clients. If there are any bugs or issues you can report to us, we will work on in & Update the status of the work. This service will be provided free for the first year. Source Code for a lifetime license and one domain/ brand. With a one-off payment, your software will be covered for the duration of a lifetime. Web Panels will work smoothly in open source Linux Servers. Server configuration and hosting is done by our technical team. We use MySQL, which is an open source and one of the safest databases. You will be paying a minimal price for license renewal every year. Our Scripts support International Payment Gateways, API with easy Installations of new ones as per the business needs. We provide One Year Free Support, even non-technical entrepreneurs will be benefitted, we handle everything till everything is launched. We provide a 100% open source code that will allow all types of customization’s. Launch Your Business with Us! Interactions for comprehensive requirement gathering from Clients. Built-in support for popular payment gateways with new integration support. Push notifications, email updates and SMS alerts setup. Support all API including International Platforms. 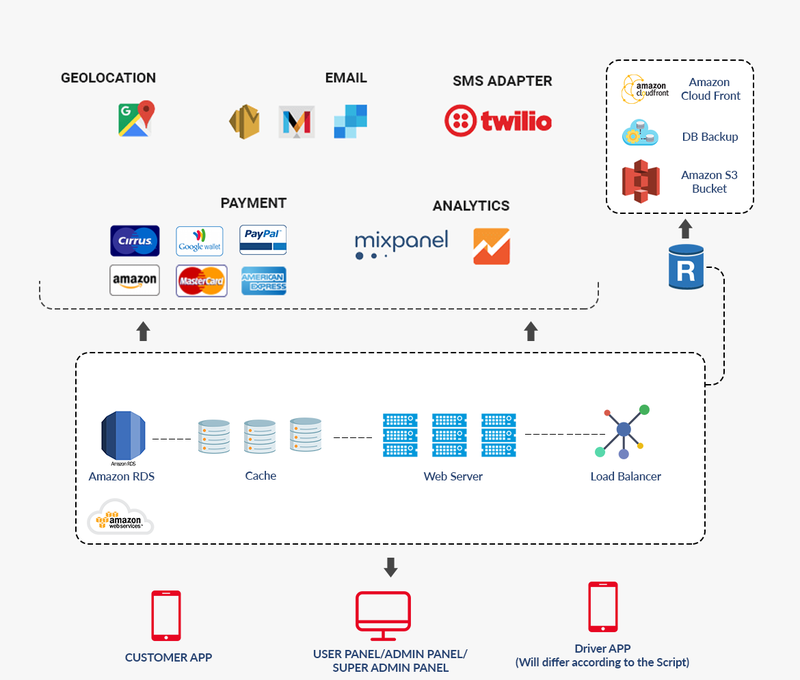 On-premise deployment of the taxi-hailing solution for full data control. Full data security audit to meet HIPAA and other compliance standards. Successful listing on Google Play Store and Apple App Store. Dedicated launching and technical support for smooth operations. 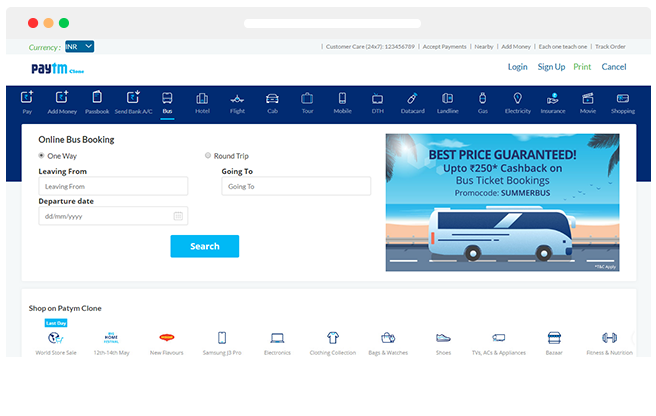 Our 99Acres Clone App developers have used a robust technology stack that can deliver a seamless booking experience to travelers and increase revenues for bus operators.